Here is a series entirely unique among the full library of L. Ron Hubbard’s recorded lectures—a one-two of public lectures and Group Processing Sessions, especially designed for those newly interested in Scientology. Each standing today as legendary, they are selected from a series of evening lectures given in Phoenix, Arizona, from 1954 to early 1955. Announced in advance with invitations disseminated widely to the general public, the nightly agenda included a first hour devoted to a single lecture, followed by a second hour of Group Processing—all delivered personally by Mr. Hubbard. Today this series stands as his broad announcement of the subject and discoveries of Scientology—a sweeping overview of the basic principles and fundamentals and their application to the individual, the family, the group and the world. Indeed, L. Ron Hubbard intended that these lectures and Group Processing Sessions introduce people to Scientology and specifically directed that they be distributed to individual auditors, groups and organizations for their use. Here, then, is not only a public lecture series like no other, here is a means to bring about the golden dawn of a new civilization. The salvation hoped for these past two thousand years is here. You are being told that in this paragraph. And it is true. 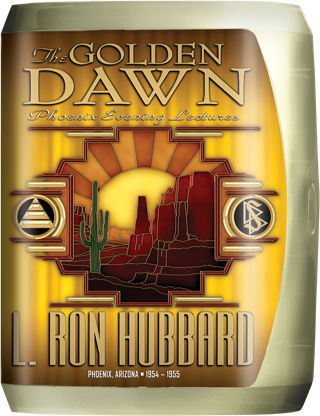 The site was Phoenix, Arizona, the year 1954, and with no less than an offer of immortality, L. Ron Hubbard issued an Invitation to Freedom that quite literally marked the beginning of a golden dawn. Having advanced from Dianetics and Book One in 1950, application of those discoveries in eradicating the Reactive Mind had, in turn, resulted in a breakthrough of even greater magnitude: The isolation, description and handling of the human spirit and the birth of Scientology. Yet if that discovery of the human spirit had taken place two years earlier in 1952, it was not as if the general public had any inkling of it by 1954—a circumstance Mr. Hubbard fully intended. Until now. More specifically, the full and complete statement of what he had achieved could be summed in a single word: Exteriorization. And with its achievement by himself and others, he had immediately set out to accomplish the next most crucial target: developing techniques and processes that could be applied by every auditor to, in turn, help every being achieve this ultimate freedom. Hence, while the preceding two years had included his instruction of no less than seven Advanced Clinical Courses to train the most expert auditors, delivering more than 450 lectures, all had been given to a select few in preparation of what he could now roll out. For with that technology refined and codified—exact processes to be applied in an exact sequence to an exact and inevitable result—Mr. Hubbard was now ready to bring it to the planet at large. Indeed, with what had now been accomplished, Scientology had firmly entered the domain of religion, capable of realizing the hoped for dreams that Man had sought since the dawn of recorded time. And therein lay the backstory of a new publication now rolling out from his headquarters in Phoenix, Arizona. Appropriately entitled “The Golden Dawn,” it included L. Ron Hubbard’s articles on “The Church of Scientology,” “The Creed of the Church,” “What Is Scientology?” “What a Group Session Is Like” and exercises to “help your friends”—specifically auditing assists. But what he was offering was more than information. Rather, it was an invitation to an introduction to Scientology by Mr. Hubbard himself. And so began a series of weekly lectures, Wednesday evenings to be precise, beginning in the fall of 1954. Opening at the Church of Scientology at 403 East Roosevelt, demand would soon be so great that he was next lecturing at the Monroe School Auditorium at 215 North 7th Street. Yet, if what those attendees experienced was unique in all their lives, the timeless nature of what L. Ron Hubbard presented is no less extraordinary today. As for how it rolled out, while the format included an hour lecture providing a fundamental of Dianetics and Scientology, each was then followed by an hour of Group Processing—all delivered personally by Mr. Hubbard. And while that agenda may have been designed for those newly interested in Scientology, here were Group Processing sessions directly drawn from the most advanced processes he had developed to accomplish exteriorization and exterior abilities. Hence, here is a public lecture series like no other, the one-two of lecture and Group Processing, for both ground-level introduction and advanced group clearing. Specialization—if you had a race of individuals who could associate without fear and without any slightest qualms with any part of existence, you wouldn’t have any specialists but you would have a civilization. When it comes to what L. Ron Hubbard’s lectures meant for the Phoenix area, one need point no further than a rapidly growing field, the expansion of Scientology premises to eight buildings and a dedicated auditorium for his lectures—whereupon they even outgrew those facilities, leading to the establishment of the Founding Church in the nation’s capital. As to what they mean for Scientologists today, here are the public lectures and Group Processing sessions, drawn from the highest levels, yet providing the data and means of application to bring about the golden dawn of a new civilization.